Easy Cranberry Moscow Mule Recipe — When it Rains Paper Co. | Colorful and fun paper goods, office supplies, and personalized gifts. I think it's safe to say that New Year's Eve is one of the biggest party nights of the year! Of course, you want to pop open some champagne as the countdown begins but you should probably enjoy a cocktail or two before midnight. Am I right?! I fell in love with Moscow Mules a couple years ago (along with the rest of the world) and it was basically so my drink would arrive in a cute copper mug! Who knew I would actaully love the taste? That was a major bonus. Ever since then I've been playing around with different variations to come up with my own recipe and I have finally settled on the perfect holiday Moscow Mule. Whether you're ringing in the new year at home or heading to a party with friends this cocktail will be the perfect addition to your New Year's Eve celebration! Pour 1 ounce of vodka and 1 tablespoon of lime juice in your glass. Next, add a scoop of crushed ice and fill with ginger beer. 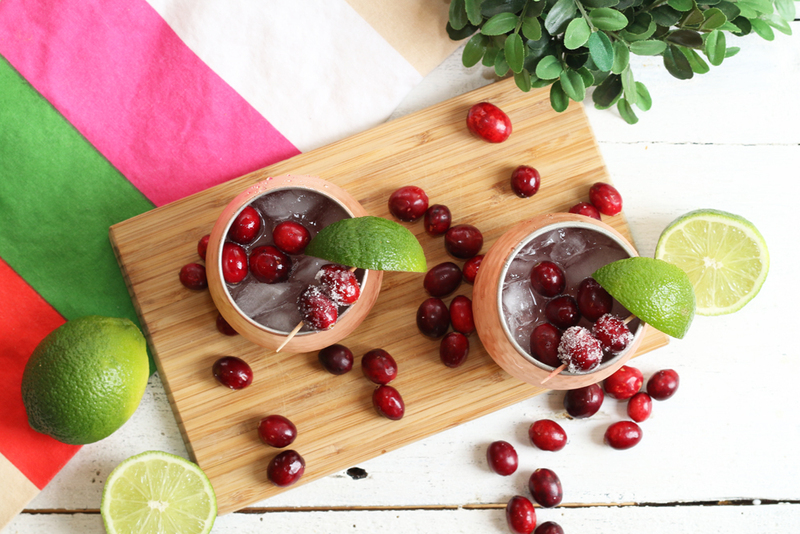 Top it off with a splash or two of cranberry juice and garnish with cranberries and a lime wedge. 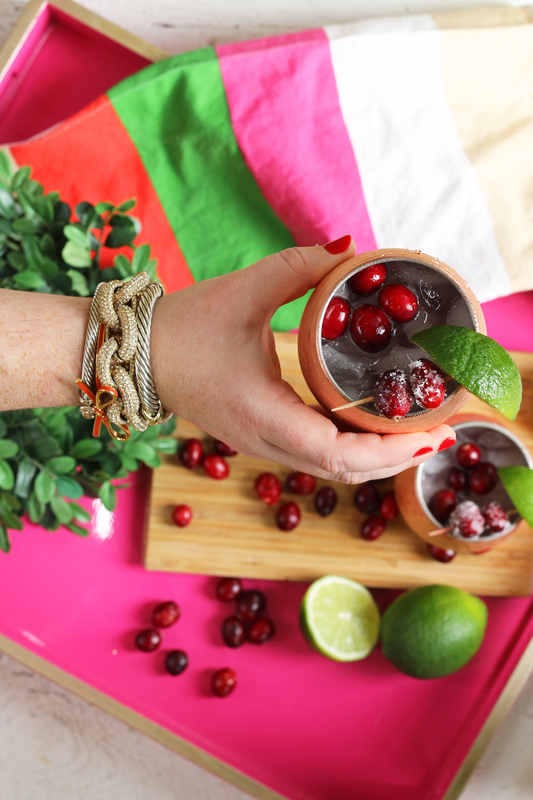 Stir and voila, you've got yourself the perfect little holiday cocktail that tastes as good as it looks! Let me be the first to wish you a Happy New Year- let's catch up in 2018!